Project Hope volunteer Sylina Alton, 16, harvests beets from a garden last September. The people need their guacamole. Or so it seemed when the Internet exploded in rage and disbelief this week over a line in an otherwise mundane risk assessment sent to investors in Chipotle, the popular Mexican fast food chain. It concluded that climate change is affecting the price of some ingredients, like avocados and tomatoes, and Chipotle could be forced to cut out guacamole, at least temporarily. Chris Arnold, communications manager at Chipotle, tried to deflect the resulting frenzy. “The sky is not falling,” he told reporters. The sky may not be falling, but 2014 could be the year when global climatic shifts finally hit home for the drastically under-prepared U.S. population. After all, about half of the nation’s food is grown in the region of California most affected by the recent drought, fires and finally flooding this past week. Staples of the American diet like dairy, fruits, nuts and the vegetables that go on hamburgers will be adversely affected by this season. Looking at future seasons, which climate scientists predict will never be significantly less dry again, coupled with the lack of foresight built into industrial agriculture’s basic model, we can no longer deny the urgent need for adaptation and change. Spokane has only one Chipotle location, but we do have dozens of community gardens, increasing access to farmers markets, small organic farms whose practices sequester carbon from the atmosphere, plans for a food forest from the permaculture community, and a whole lot of wild food spitting distance from downtown if you know where to look. Second Harvest Food Bank sponsors the hugely successful Plant-A-Row program and Spokane Edible Tree Project is mapping trees and gleaning their fruit and nut bounty otherwise wasted in backyards and forgotten corners around the city. The WSU County Extension office has enjoyed steadily increasing demand for their classes on master gardening, food preservation and small farming in recent years. Empowering young people in West Central, Project Hope has grown from one urban farming lot in 2004 to a 2013 harvest of more than 2,000 pounds of fresh produce. 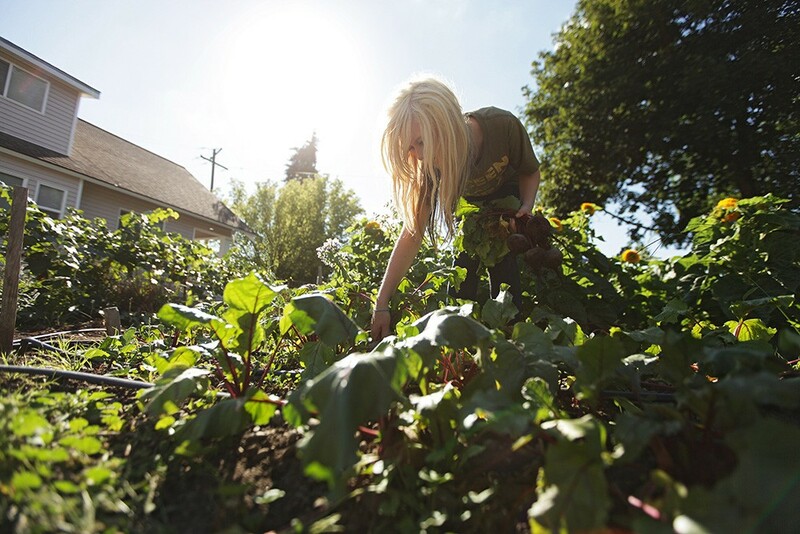 On Monday, March 24, the Spokane City Council is scheduled to vote on an urban agriculture ordinance that’s been modeled on similar laws in Seattle, Portland, Toronto and Cleveland, in hopes of lending structure and support to an expanding local food base in the city. Though the progress has moved at a pace frustrating for the food-growing set, the ordinance still represents a step in the right direction. Council President Ben Stuckart kicked off the process in November 2012, and it has continued in a whirl of conversations, meetings, conferences and politics. Stuckart acknowledged that government is not a quick route to change. “To me, it seems like it’s taken forever,” says Stuckart. “Everything just takes longer the larger a bureaucracy is… You have to make room for as many people to engage as possible, but at the same time there’s a lot of energy behind the status quo.” The public testimony in two weeks should be an interesting indicator of where Spokanites stand on issues of local food. I, for one, hope to hear more about the urgent and critical issues than about the various noises and odors created by the animals permitted in the ordinance. Whether or not the legislation passes, more people in Spokane need to become directly involved in the production of the food we eat. We need to educate ourselves and our neighbors about creating holistic, self-sustaining systems for food that can adapt to a rapidly changing climate. Most of all, we need to reject the myths of our culture that keep Americans believing that ours is the only way, that industrial agriculture will feed the world, and that everything will be fine tomorrow if we just keep our heads down and press on. The U.S. is the least food insecure country in the world, but one in five children still experience chronic hunger. At the same time up to 40 percent of all food produced never makes it to a consumer at all. It rots on pallets in warehouses, expires and gets thrown into a locked dumpster at the grocery store. In the food system, bottlenecks in distribution, reliance on transportation infrastructure with no long-term future, and quasi-religious belief in the ability of the market to manage everything create a perfect storm of big problems. The glimmer of good news in this situation is that we have some degree of choice in the matter. We can choose to change our culture, to change the way we grow our food, to live as part of the planet rather than dominating and destroying it, and we can challenge the powerful myths that hinder our ability to think differently. Stuckart described urban farming to me as “a peaceful revolution.” Let’s hope that’s true and continue a thoughtful dialogue on how food can be one of the most important parts of how we move into an uncertain future as individuals and as a city. Guacamole is just the beginning. Taylor Weech is a Spokane writer and photographer. 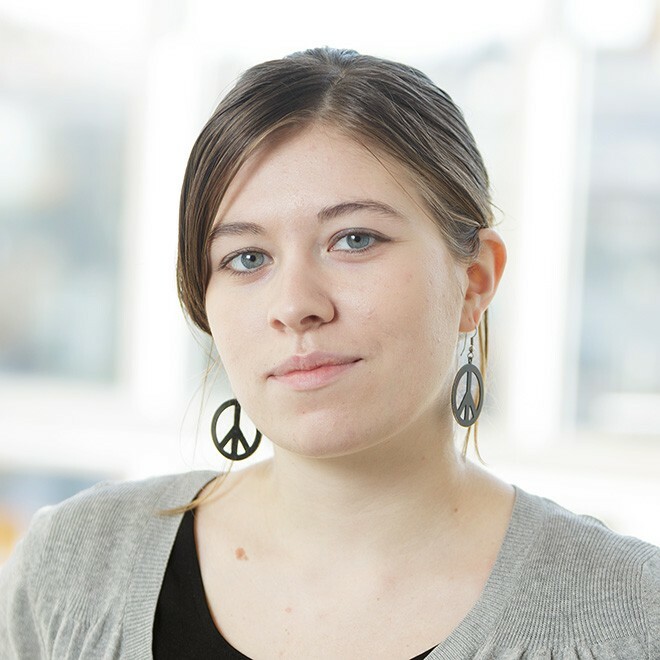 She hosts a weekly public affairs show, Praxis, on KYRS-FM.